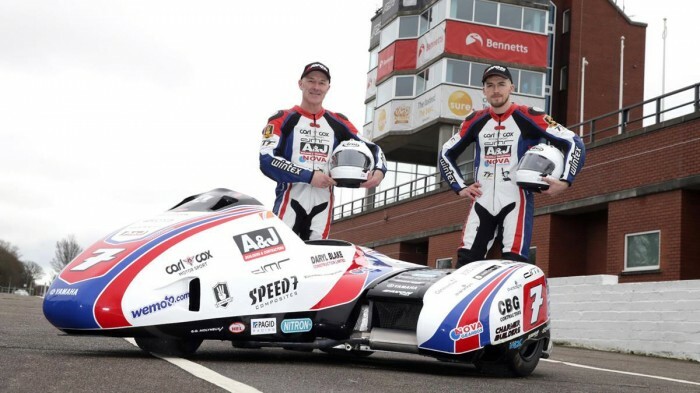 After more than two decades running his own DMR chassis, TT legend Dave Molyneux admits it’s a case of ‘if you can’t beat them, join them’ for his 2019 campaign as he switches to an LCR chassis for the first time. The Manxman currently has 17 wins around the Mountain Course, which not only makes him the most successful sidecar driver ever but also the fourth most successful competitor ever behind Joey Dunlop, John McGuinness and Michael Dunlop. But it was in 2014 that he last tasted victory and with only two podiums from his last seven races, he’s keen to rectify that this time around. Another challenge for Molyneux, who recently turned 55, is a new passenger in the form of Harry Payne. He only made his TT debut last year but lapped in excess of 109mph with Michael Jackson and Molyneux is convinced he has what it takes to be a top flight passenger around the Mountain Course. 2019 is also a landmark year for Molyneux as it’s exactly 30 years since he won his first ever TT, taking victory with the late Colin Hardman in the opening race of 1989 and he’s opted to run the same number seven plate this year as he did then and also revert to a red, white and blue colour scheme.